Bitcoin Bonuses. Are Cryptocurrencies the new carrot? These days everyone knows a bitcoin expert. If you don’t have a neighbor who is bitcoin millionaire or knows exactly what it is worth, then you probably have a Facebook friend who can tell you. I don’t claim to have an idea of what it’s worth, in fact I have no idea, but I find it very difficult not to follow pundit’s prediction for the “asset’s” future and how quickly it’s becoming incorporated into corporate life. A growing number of organizations are introducing cryptocurrencies into their human capital processes. Some believe offering bitcoin as part of salary helps them attract top talent, others have a logistical justification rooted in overcoming geographical boundaries related to payroll. I get it, we are in a competitive environment where there is a war for talent and companies need to be creative and flexible in the lengths they go to keep talented employees. Is giving them bitcoin the way to do it? Overstock seems to think so. As part of the 2017 performance management process more and more companies, like Overstock, are looking to reward their employees with payment of bitcoin and other cryptocurrencies. Performance management is a process sometimes called an annual rite of corporate kabuki, a process where reviewer and reviewee too often complete forms and make ratings that offer neither much value. However, no matter the shortcomings with performance management, the process is still a large factor in deciding employee end of year compensation. 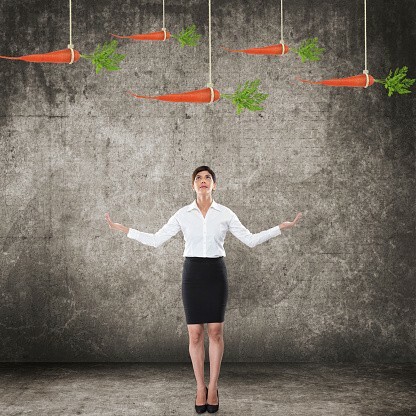 Through their performance management procedures, companies are looking to reward their top performers who met their annual goals, with monetary compensation. Oftentimes, a large part an employee’s annual compensation will come as an end of year bonus in the form of cash or stock options. In many cases, part of the compensation will be deferred to retain people and for employees to have a vested interest in their ongoing success and that of the company. Non-traditional compensation, like that of bitcoin, would be appealing to many who want to be part of the current cryptocurrency craze. However, receiving payout in an asset that displays a volatility pattern and amount of uncertainty unlike we have seen before, isn’t for everyone. Daily, it seems new price targets emerge reflecting the myriad of reasons for its parabolic rise. Its breakthrough underlying technology (i.e. blockchain) and fears about the value of fiat currencies given the current period of quantitative easing are the two most frequently cited. As we’ve seen with other disruptive innovations, it will take years before we determine the “true” worth of bitcoin and have stability in the cryptocurrency market. This fluctuation will only make it more difficult to quantify and track the impact of using it as compensation. It’s exciting to see companies experiment with new methods of encouraging employee performance in line with corporate objectives. As 2018 kicks off, we continue to see a lot of press and hype around things like bitcoin, bots and all things AI. However, just because there is hype doesn’t mean there is a bubble and using these new innovations in your organization might be worth a look.